Posted on Thursday, October 4th, 2012 at 2:09 pm. 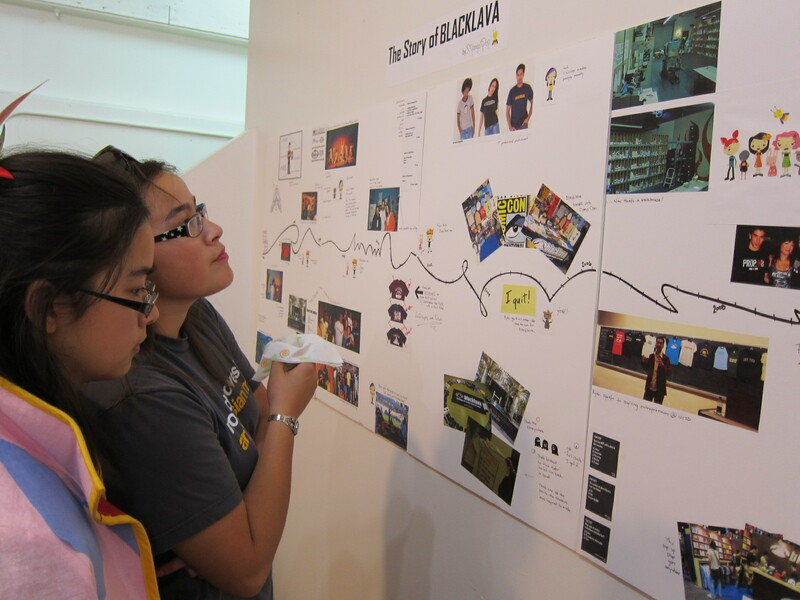 I recently attended the 20th anniversary celebration of Blacklava, an online store for “all things Asian American,” which was founded by Japanese American Ryan Suda. I had heard about this event at least a month prior, and even though it was taking place in Los Angeles, I was compelled to fly down from the San Francisco Bay area, where I live, in order to celebrate this occasion. Many people know me as the founder of the TaiwaneseAmerican.org website or see my work on projects and with organizations that serve the Taiwanese American community, and likely, they have some sense as to part of the motivation that drives me. However, there’s a little more story to tell. Yes, I’m a proud Taiwanese American, and I’ve spent more than half of my life working with youth of Taiwanese heritage and supporting the many organizations that represent our varied community interests. But, before I understood the intricacies of Taiwanese history and the argument for our unique identity, I started my personal journey through identity as a non-ethnic-specific Asian American first. And, when I say Asian American, I mean it in the collective sense – the multi-generational multi-faceted historically-oppressed non-Model Minority Asian Pacific Islander American Yellow & Brown Power to the People sense. That somehow, no matter where you or your family’s country of origin is, together we have a stake in this ever-evolving American identity where historically we haven’t yet found a place or full acceptance. I was a product of growing up a minority in the Midwest, and I experienced being the non-White “other,” and to put it plainly, it just sucked. That is, until we found greater pride by associating with the other young 2nd generation Asian Americans who naturally understood this “hyphenated” experience. It often felt like we were lumped together by the mainstream as this singular “Asian American” group, but I was proud to ally myself with the many “others” who felt just as on the fringe as I did. Although I knew part of my coming-of-age experience had to do with personal insecurities, it was clear to me that the stuff outside of my control boiled down to negative societal influences as a result of stereotypical media images and institutionalized racism. In my heart, I knew there needed to be change, and people who understood the struggle needed to make it happen. As a result, I had no qualms about declaring myself an Asian American activist. I attended college at the University of Illinois during the early 1990’s, around the same time when Ryan Suda founded Blacklava. During that period, my university had very little infrastructure and programming to serve the 2000+ students of Asian descent. It was fairly clear that our relevant issues were being overlooked, even during a period when the campus atmosphere could sometimes feel unfriendly towards Asian Americans. The stories about radio DJ’s mocking Asian accents, fraternity members hurling racial epithets towards Asian passerby’s, the nearby town of Pekin, home of the “Chinks,” (The team was renamed the “Dragons” in 1981. Yeah, you can’t make this stuff up.) are probably best left in the past, but needless to say, it was the circumstances of that time that compelled me and fellow emerging activists to advocate for change and progress on our own campus. As I became a more active outspoken member of the Asian American community on campus, I began to look outward for more inspiration on how to broadcast our messages to a wider mainstream audience. Networking and information exchange was a little more difficult to do so in those early days of the pre-AOL Internet and wired phone lines. In fact, most young Asian Americans of the Facebook and YouTube generation probably have never heard of some of the issues-oriented and pop culture resources of the time, but these print subscriptions were the lifelines that connected me with the broader nationwide Asian American community: AsianWeek newspaper, A. Magazine, Yolk Magazine, the UCLA Asian American Studies newsletter Cross Currents and its academic publication Amerasia Journal. As valuable as these publications were, somehow, something always seemed to be missing… something that could appeal and speak more to the masses outside of activist community. 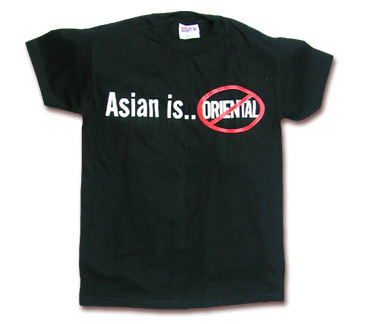 From the mid-1990’s on, as I continued tuning in to these Asian American publications and began attending Asian American independent film festivals, I started noticing the increasing presence of Ryan Suda’s Blacklava and his company’s witty, critical, or sometimes provocative T-shirt designs: Got Rice? ; Artful Bigotry & Kitsch; Asian is Not Oriental; V.Chin 6-19-82; I will not love you long time; Other… The messages were more relevant to those who were in the know, but they were smart and sassy enough to be an effective medium to educate the people we interacted with every day. Ryan definitely started out small by setting up booths at film festivals and conference and hawking T-shirts to anyone who got the message and could find some dollars to spare. But, there was something more there… an idea that seemed to bring our issues right out into the public and let us literally wear the Pride on our sleeves. 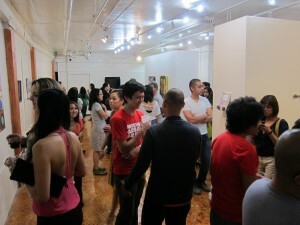 It was about making a statement contrary to the model minority stereotype. I have great respect for how Ryan has managed to grow his passion project over the past couple of decades. I mean, it’s tough running a T-shirt company. 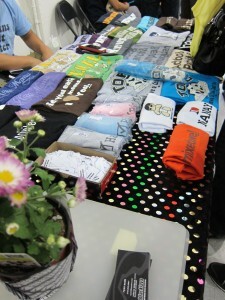 I should know, since TaiwaneseAmerican.org has successfully distributed Taiwanese American-themed products like our popular Stinky Tofu Walks Alone T-shirt to our donors and supporters. However, someone has to invest in the product, store them, organize inventory, and mail the packages out in a timely manner. It’s neither fun nor necessarily financially-rewarding, but there’s something about sharing the Pride that feels more fulfilling than words can describe. So, to see Ryan build up Blacklava into more than a T-shirt company and into essentially the online Asian American store, which includes everything from independently produced music, writings, spoken word, and films, it elicits the greatest admiration and pride from me. This is what an Asian American grassroots movement looks like in commercial product form. This is what taking the “other” experience and transforming it into a celebration of talent and creativity feels like. I was so pleased to trek to LA to be a part of this 20th Anniversary Opening Gala, not only to honor Ryan’s accomplishments, dedication, and service to the community, but also to seek an answer to the question I could not put my finger on at the time. I now know what I was looking for — a glimpse into how a small underdog can emerge to become a force that continues to make great impact. As I reflected on the Blacklava journey, I was reminded of some of the issues I think about for TaiwaneseAmerican.org and specifically, our Taiwanese American community. As TaiwaneseAmerican.org has grown over the past six years, I wonder how our niche online project will evolve over the years. I proudly wear my 15-year-old Blacklava “other” T-shirt because, on me, it represents my perception that Taiwanese Americans are easily overlooked as just an “other” among the many Asian ethnic groups. Are we Taiwanese? Are we Chinese? Or a little bit of both? Well, it depends on who you talk to, and whose side of history you’re on. It also depends on historical, cultural, or political interpretation. I think it also depends on how willing someone else is to listen to and respect your personal story and identity. It wasn’t that long ago when our first Taiwanese American students clubs in the 1990’s met resistance on some college campuses by more established Chinese American organizations. Yet, 20 years later, the Intercollegiate Taiwanese American Students Association is one of the strongest college level Asian American networks out there. Now, our Taiwanese American Professionals chapters are bridging the gap across generations and establishing a unified network nationwide. The Taiwanese American community is definitely evolving, transforming, and shaping the broader community that stands beside us. Times have changed, and it’s clear that in time more change will inevitably come. I have great hope that as our vibrant Asian American community continues to establish its presence in various arenas, Taiwanese Americans will be an undeniable part of that movement (Go Jeremy Lin! Go Justin Lin! Go KevJumba! And “jia yo” to the many “others” working the grind!). As I contemplate the mission and the vision of our community, and if a smaller “other” website like TaiwaneseAmerican.org can make a difference, I realize the answers to my questions were all around me embodied in the stories and tributes from all the folks who gathered to honor Ryan Suda. If the microcosm of Blacklava and its success story is an indication, then our diverse identities, passions, hopes, and dreams will continue to be mutually synergistic and worthy of celebration… for Taiwanese America and Asian America. Congrats Ryan and Blacklava on two excellent decades of sharing the message and the pride. How about we get together and work on some Taiwanese American themed projects? The time is right. The Blacklava 20th Anniversary Exhibit, a commemorative art retrospective, runs through October 10, 2012 at Hatakeyama Gallery at 905 S Hill St, Los Angeles, CA. Also be sure to check out Erin Nomura’s Blacklava photoshoot from the Opening Gala event, which took place on September 29, 2012. Funny how you tout Asian American unity while championing a very divisive identity. First off, I agree with you that Taiwan is a separate country from China so I’m not even pro-Mainland at all (not a fan of the Communist party). But objectively only caring about Taiwanese people is really very small-minded. Maybe you’re Green Party and you resent the fact that the Chinese elite KMT came over to Taiwan 60 years ago and forcefully took over the dominant narrative of the country. That’s fair. Fujianese immigrants settled Taiwan 300 prior (even though they forcefully took Formosa from the native Pacific Islanders too). But we’re all in America now, let those old motherland divisions sift through a filter for the betterment of ALL people. If Taiwanese believe they are truly the elite Hua-Ren and are the most organized and unified sub-group of Han ethnic blood – then let them show it. A king cares about ALL it’s subjects. Unless of course, you want to be ultra tribal with it. Perhaps you want to follow the Korean model of community infrastructure – care about your own and nobody else. It’s a model that’s proved to be successful and I won’t argue that Koreans have accomplished a lot. But it’s simply NOT PROGRESSIVE. So if you believe in things that are liberal and progressive…why would you hang on to such a conservative notion (exclusively look after your own)? It’s true that Taiwanese people (Green and/or Blue) have the best ability (and most desire/incentive) to organize themselves of any “Hua Ren” group (Mainland, HK, Singapore, Chinese-Viet, being of rest of the Big 5 Han sub-groups) – so I guess they shouldn’t care about their “weaker” sub-group peers? The truth is that the other “Hua-Ren” subgroups LOOK UP to the Taiwanese for guidance. The Taiwanese public education system provides the best teaching of ancient Chinese history (dynasties, poetry, etc.) and many people consider Taiwanese Mandarin to be the highest-class accent of spoken Chinese language. Taiwanese HAVE THE POWER to care about everyone and lead ALL hua-ren…should they decide to. So yeah, go ahead and continue caring only about Taiwanese people (you’re well within your right to) but I’m just letting you know that’s totally non-progressive and short-sighted. It’s basically what Mitt Romney would do in the same situation. If you care about the welfare of other “Hua-Ren” and aren’t caught up in Asia power dynamics then why don’t you take the responsibility with the power and care for ALL “Hua-Ren”?